The story of Dido and Aeneas is one of the world’s most tragic love stories, first described in Virgil’s Aeneid, then Marlowe’s Dido, Queen of Carthage and Henry Purcell and Nahum Tate’s opera Dido and Aeneas. Before Aeneas founded Rome, he was a Trojan soldier. When Troy fell, he left with his followers in seven ships. 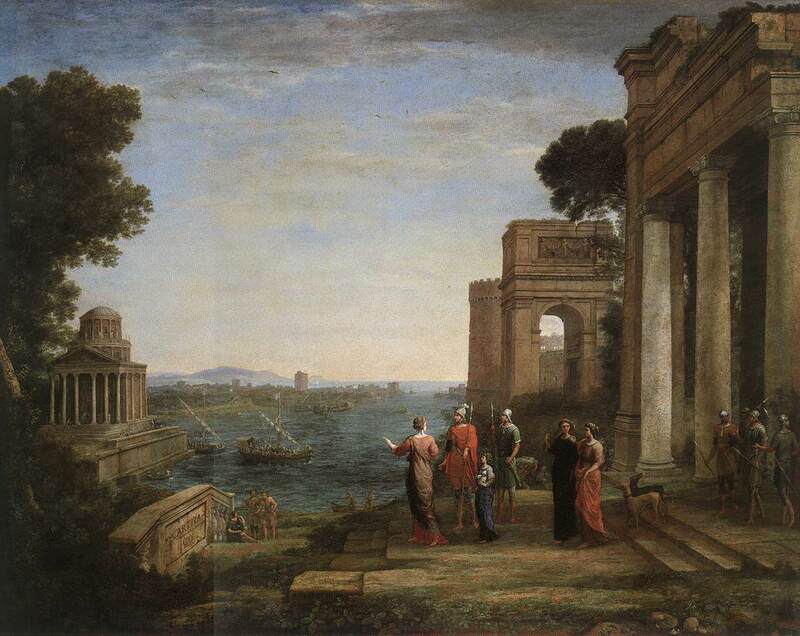 He was shipwrecked on the shores of Carthage, the great African city ruled by Queen Dido. Dido and Aeneas fell deeply in love, but the gods called Aeneas away to fulfill his destiny in Italy, and Dido was left heartbroken and alone. In her despair, she built a funeral pyre and committed suicide atop it. Virgil gives the story as the explanation for Rome and Carthage’s ancient grievance that culminated in the Punic Wars. In reality, there was a Queen Dido of Carthage, and she did commit suicide, but it was to avoid marrying a rival king, Iarbus.